Bath Makeover of Arkansas has the high quality, bath and shower designs you need to transform your bathing space. Think about how much time you spend in your bathroom each day, do you really want to live with that ugly, hard to clean tub or shower? Now you don’t have to. In just a few days we can give you a whole new bathroom that is easy to clean and naturally resists mold and mildew growth. From bath systems, shower systems and accessibility products, we have a design to meet your needs. Just need to replace that dingy tub, we have replacement bathtubs and bath liners. Have a cracked shower? Get a replacement shower base or wall surrounds. If you have limited mobility we also have a range of easy to enter baths and showers. 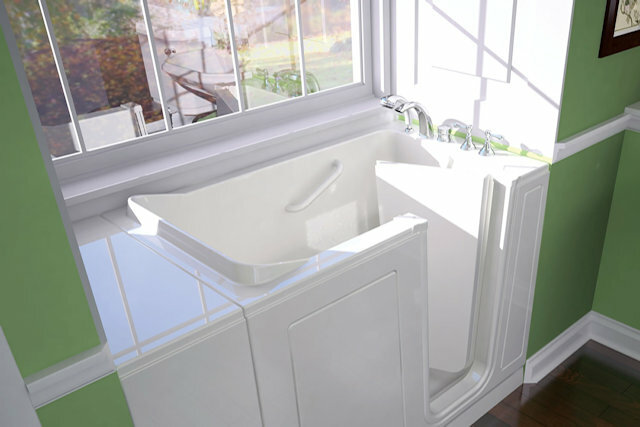 Bath Systems from Bath Makeover of Arkansas will make your bathroom shine again. 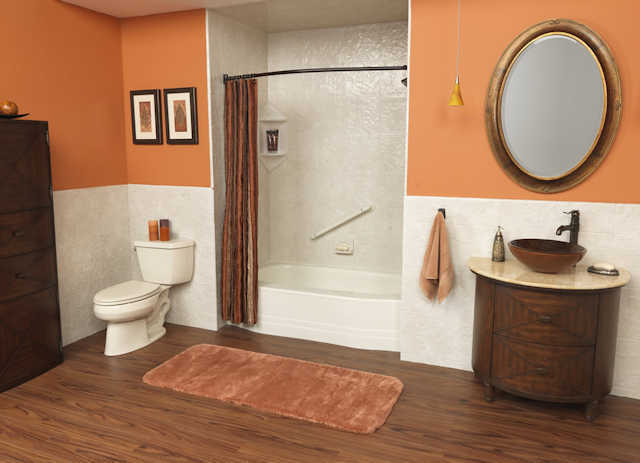 Choose from designs like replacement baths, bath liners, and wall surrounds in a variety of colors and patterns. Our designs are easy to clean and will look great for years to come. If you dread entering your shower, stop settling. Our shower bases, shower doors, wall surrounds and shower enclosures can turn your outdated shower into a spa-like oasis that you’ll be excited to use. Bathing can be safer and easier with our tub-to-shower conversions, walk-in tubs, step-through inserts and barrier-free shower bases. All our products are easy to clean and will stand the test of time. Our professional installers have years of experience installing high quality bath and shower systems in Cabot, Benton, North Little Rock, Jacksonville, and throughout Arkansas. We pride ourselves on selling durable, beautiful bathroom remodeling products that we feel confident will look great for a lifetime. Our design team can walk you through your options and help you put together the bathroom of your dreams. 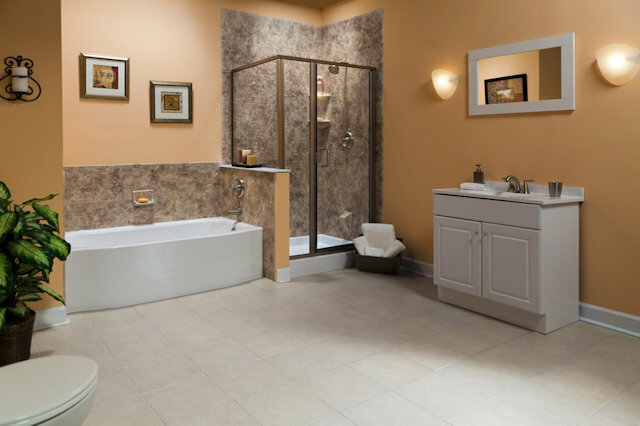 Bathroom remodeling can be affordable and add to your home’s value and appearance. For more information on our products or to schedule your free, no-obligation, in home estimate contact us today. 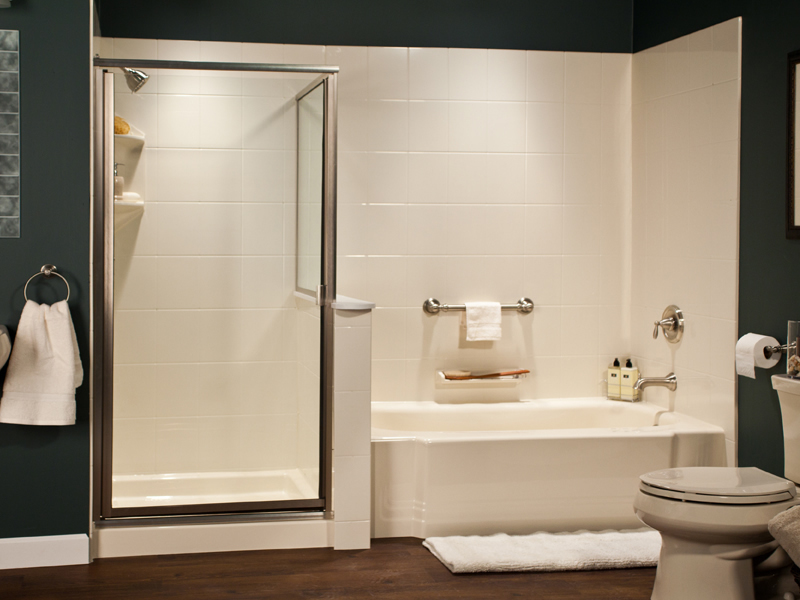 Or check out our bath systems and shower systems to learn about the specific products we offer.